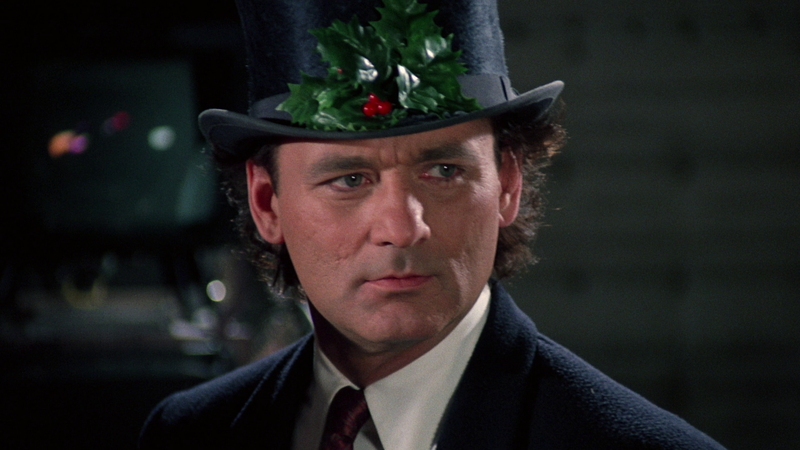 Christmas Classics: Scrooged – Did You See That One? Frank Cross (Murray) is a television executive with no time to be sentimental. He also has no time for Christmas, unless it’s boosting the ratings. When he pushes too far, he’s visited by three spirits who try to teach him the error of his ways. This Christmas comedy is loosely based on the classic novel A Christmas Carol by Charles Dickens. The screenplay was written by Mitch Glazer (The Recruit) and Michael O’Donoghue (Savages). Richard Donner (The Goonies) took on the project as director. The stars of the movie include Bill Murray (Ghostbusters), Karen Allen (Raiders of the Lost Ark), John Forsythe (Dynasty), Robert Mitchum (The Longest Day), and Carol Kane (Dog Day Afternoon). This is a fun twist on the classic Christmas Carol story. Using the medium of television to backdrop the story provides some unique moments throughout the movie. The dialogue is fun, working the comedy into the story right from the start. The film also finds a few heartwarming moments that aren’t forced. These moments are great since they don’t take away from the comedic tone of the movie. Overall, this is a fun Christmas movie that will entertain most people. The acting in this movie is really fun. 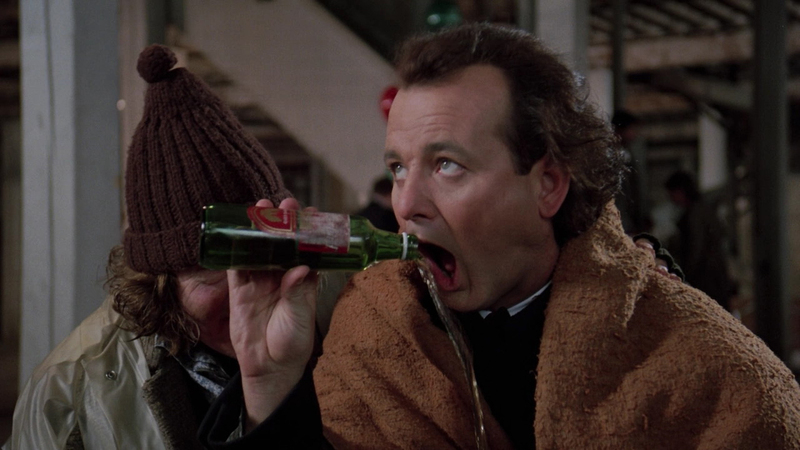 Bill Murray is always a pleasure to watch. His unique delivery and physical comedy come together in some great moments throughout this movie. He’s also paired with a number of fine actors that help to bring this one to life. 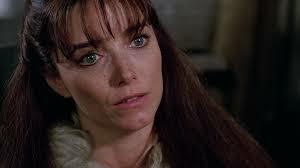 Karen Allen, John Forsythe, and Carol Kane are just a few of the actors who do a great job in this one. The great Robert Mitchum even finds a nice part in this movie. The best work might come from Murray, but the whole cast does a nice job in this one. The rest of this movie feels like an oddball comedy from the 1980s. There’s nothing wrong with that since it all works with the tone of the story. 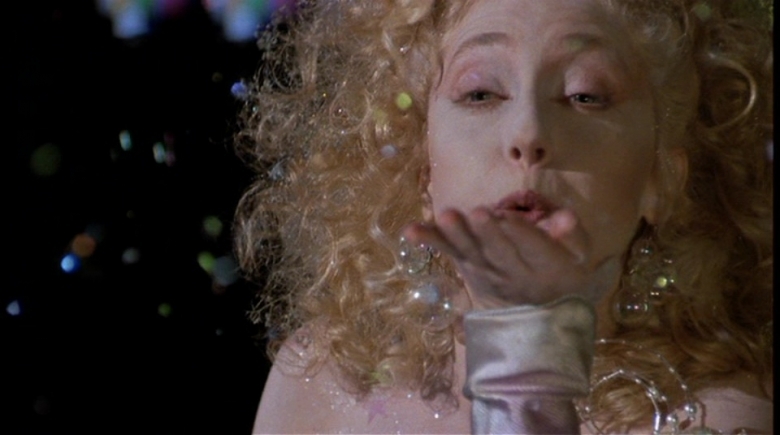 The film even earned an Oscar nomination for Best Makeup. The special effects and other visuals go a long way towards making this a fun Christmas movie experience. This is an interesting movie that might not hold up as well for younger audiences. For fans of Murray, or anyone else in this one, it’s a good time. 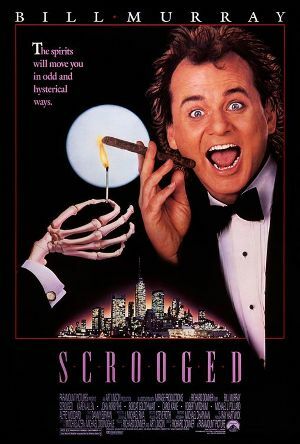 I would also recommend this to anyone looking for a good older Christmas film to enjoy during the holiday season. It’s also fun to note that there are a number of cameos throughout this movie. These appearances include Miles Davis, Lee Majors, and Mary Lou Retton. I give this one 2.7 out of 5 stars. I really enjoy this movie every time I watch it. Murray is amazing and the whole thing is just so much fun! Fun is what this is all about. Definitely a film that didn’t take itself too seriously. Thanks for the comment! I caught this the other night, part of a Bill Murray triple on Film4, was hilarious and still rings true 20 odd years later. Murray is a legend so you can’t go wrong. Thanks for the comment. This truly has aged well. Murray is a great actor as well. Saw this for the first time on Netflix last week. Really enjoyed it. 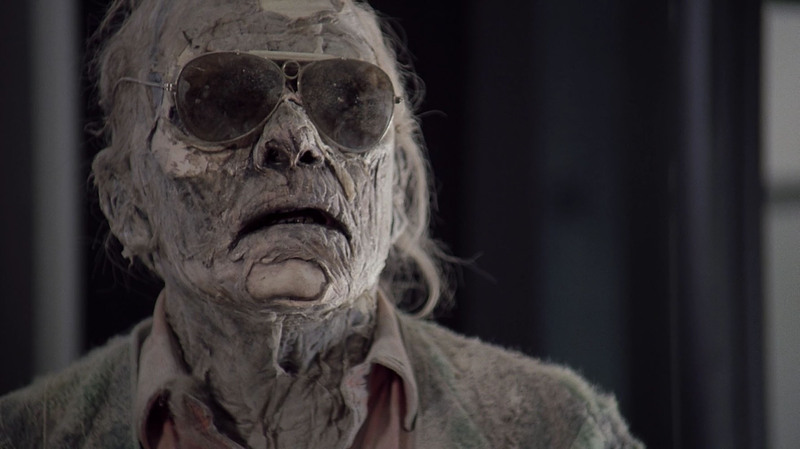 It was a lot better than I expected it would have been, but Murray is a pretty reliable actor. Thanks for checking it my review. Murray is so great in just about everything he does. Glad you enjoyed it. Pingback: The Omen | Did You See That One?